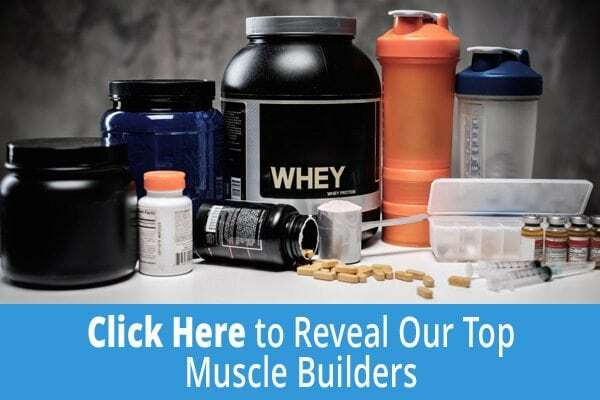 What to look out for in a muscle building supplement? If you want to build up your physique, by bulking on more muscle. Then using a muscle building supplement will help you to achieve your goals. However, there are so many to choose from. So how do you go about choosing which ones will work best for you? First is important to know what different muscle building supplements are available, and how they work. Whey protein, derived from milk, or soy and egg, is one of the most popular muscle building supplements as it is easy to digest and absorb. It helps to provide the body with a boost of protein that is vital to the growth and repair of muscle tissue. It is packed full of amino acids which are the basic building materials for the muscles you are trying to grow. Whey protein powders also provide you with other vital nutrients such as magnesium, calcium and a variety of other minerals. Casein is another protein powder that is derived from milk. It has a slow release, which makes it useful to take in the evenings, or post workout, to provide you with that protein kick needed when the body is recovering. Creatine is a metabolite that occurs naturally around the body. Its purpose is to provide energy to the cells, which assists in the building and repairing of muscle fibres. Using creatine as a muscle building supplement enhances your development of lean muscle mass, and muscle cell volume. It has also been shown to speed up the recovery time after an intense training session. Beta alanine is an amino acid that is taken as a supplement. It works to increase the levels of carnosine within the body. This enhances performance by increasing endurance whilst simultaneously reducing fatigue. BCAA is made up of three of the 21 amino acids in the body, isoleucine, valine and leucine. Used as a supplement it works to aid in muscle recovery, after being stressed and torn during training, while also reducing pain and fatigue in muscles. It is also used to enhance muscle endurance for people participating in long distance workouts. By keeping the muscles constantly fuelled. Glutamine enhances growth hormone levels in the body. Which not only preserves and promotes the growth of muscles but also aids in burning fat. It is said to slow the process with which muscle tissue breaks down during intensive training. This can enhance endurance as well as strength. These are used as muscle building supplements because they work to dilate the blood vessels. This enables higher levels of oxygen, anabolic hormones and nutrients to be transferred to the muscles through increased blood flow. Which in turn allows for increased energy as well as a faster recovery rate. ZMA is a combination of zinc, magnesium and aspartate as well as Vitamin B6. It is used as a muscle building supplement because it provides the body with the nutrients that are essential to maintaining healthy hormone levels. It also aids in the recovery of muscle tissues. All these different muscle building supplements have slightly different benefits. And finding the right supplements for you depend on how you train, what your diet consists of, and what your goals are. If you have any doubts about what muscle building supplement is best for you it is always advised that you speak to a fitness professional.